Should we search for alien 'footprints' right here on Earth? Jump to interactive Calculate the chances of finding E.T. Jump to explainer SETI: 50 years of searching for E.T. 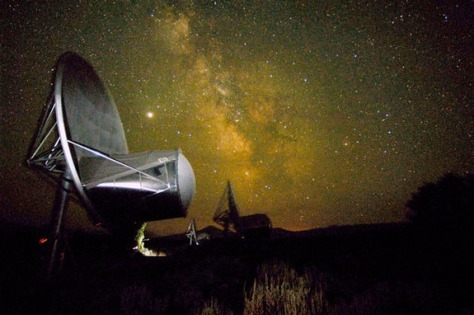 The Allen Telescope Array looks out for signs of extraterrestrial intelligence in space.